Vaasanthi writes in her "Cut-outs, Caste and Cine stars". The old lady opened her eyes and looked out from the window of her air-conditioned car. "What are all those dear? ", she inquired about the figures that dominated the skyline. Mother Teresa craned her neck and looked up at the sky. Jayalalitha's head was hidden among the clouds. 'Good heavens,' said a shocked Mother Teresa, "it's so huge!" 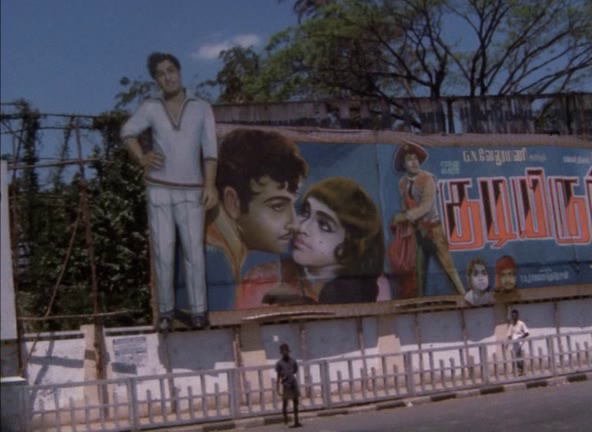 Cinema wall posters and cut-outs can arguably be regarded as "unique" cultural symbols of South India, more particularly in Tamilnadu and Andhra Pradesh. These should probably be the only states (in the world) wherein cine-stars contested elections after starting a political party on their own and went on to become chief ministers of their states. In that sense, Cinema assumes an important part of the social lives in these societies and hence Cinema posters will have an all pervasive presence. Cinema posters in movies provide a curious reminder of this ubiquitous presence of cinema posters in tamilnadu. A few observations on this ..
A "shot" of the cinema posters in movies, many a times, convey or summarise the mood or course of the film. 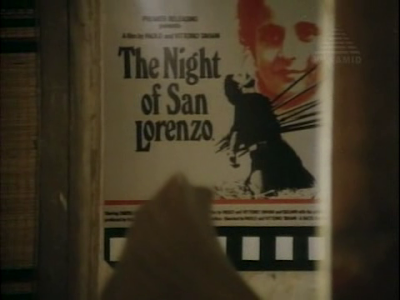 In period films, cinema posters are an "essential" prop to re-create the social atmosphere of the yesteryears. M.G.Ramachandran and Rajinikanth are probably the most represented stars on the cinema posters (in movies). Over to the Photo essay. Thanks so much for posting all of the awesome info! Looking forward to seeing more posts! A new trend has been emerged in party decorations and that is celebrity cut outs of celebrities! These life size props help you grab the attention of every guest and cherish the memories of celebration for months to come. Once you used celebrity cutouts in your party décor, your invitees will try the same out when their turns come. One plot-functional one I can think of is Manal Kaiyiru where one of the twin brothers sees an MGR movie poster and gets the idea to impersonate his brother.